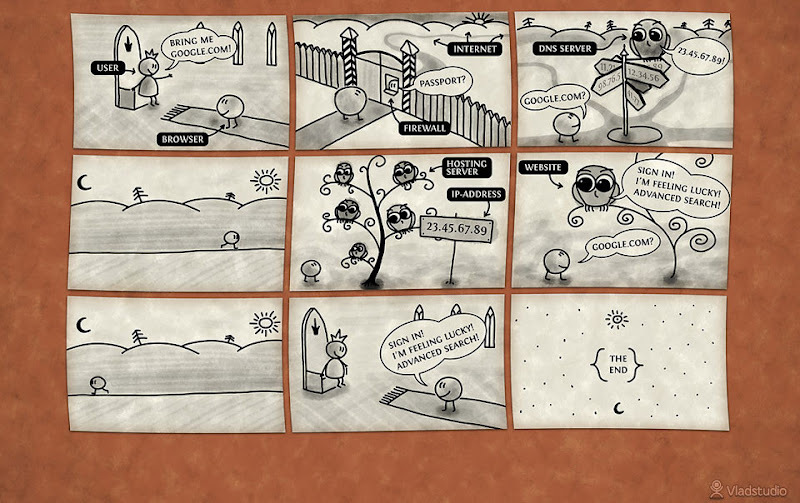 This morning, I stumbled upon a Comic Strip explaining How Web Browsers works. 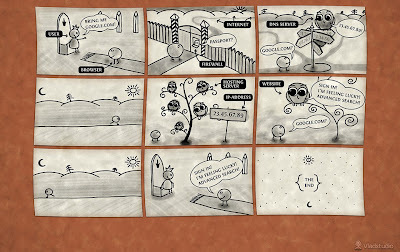 In my opinion, it is a better perceptive to explain to someone the Web Browser function. It reenact how the browser (the messenger) fetch a website, negotiate with firewalls (gates), asked DNS server (owl), and talk to host servers (owls).